Granola for breakfast, a staple in every healthy dieters arsenal. Between the types of oats to use, the spices for flavor, and the endless amounts of mix-ins, the options are truly endless for a perfect breakfast granola creation. Don’t stress too much, we have a delicious granola recipe that should limit your decision making. Preheat the oven to 350 degrees Fahrenheit and line a large baking sheet with parchment paper. In a large mixing bowl, add the old fashioned rolled oats, pecans,pepitas, salt and cinnamon. Stir to blend. Pour the coconut oil, maple syrup, Naturade Brown Rice Vanilla Protein, and vanilla extract into the mixing bowl. Mix until every oat and nut is lightly coated. Pour the mixture onto your baking sheet and spread evenly. Bake until golden, this should take between 20 and 25 minutes. Make sure to stir the granola at the halfway mark. The granola will further crisp up as it cools. 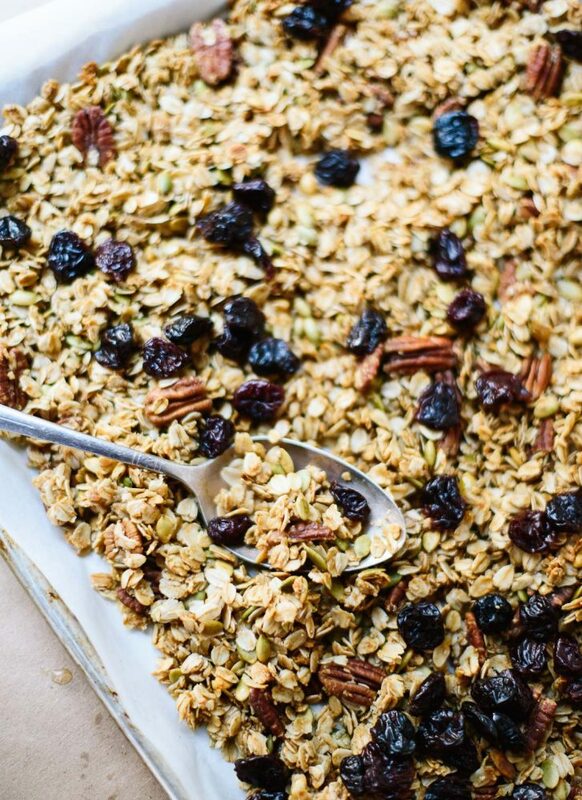 Once your treat has cooled completely, break the granola into smaller pieces and mix in your preferred dried fruit. To preserve your granola store it in a container at room temperature for 2 weeks or in a freezer bag in the freezer for up to 3 months. Enjoy your versatile breakfast treat! This entry was posted in Healthy meal Recipes, Recipes, Vegan Recipes and tagged brown rice protein, easy recipes, Health Tips, healthy, Naturade, naturade news, naturade protein powders, naturadelife, Protein, Recipes, vegetable protein recipes.